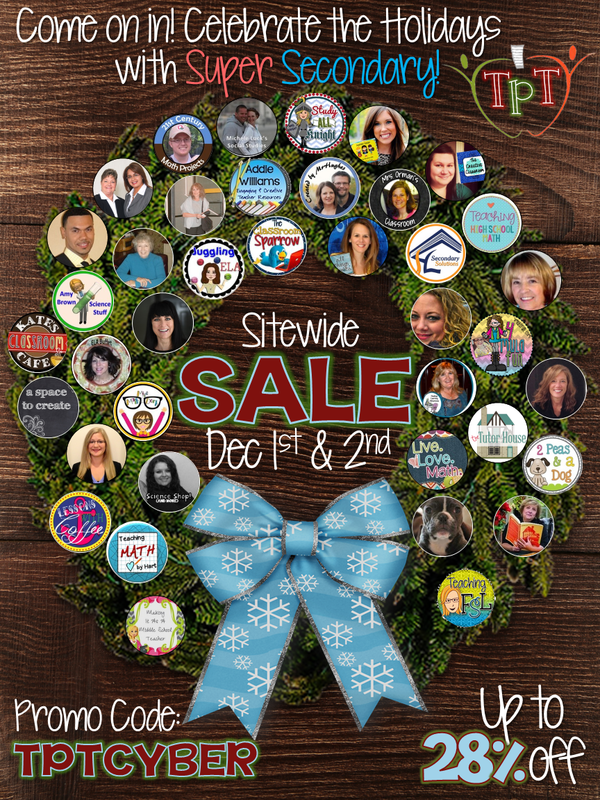 I’m pretty excited to be a part of an AMAZING Secondary group of TpT sellers!!! We’ve joined together to make it SUPER easy for all of you secondary teachers to find great places to do some last minute 2014 shopping!! It’s the Cyber Monday sale! Check out all the awesome stores below. I know many of you are math, but if you have other teaching friends, make sure to pass on the links of the others! Many subjects represented: Science, Art, English, Foreign Language, History! Plenty for everyone to choose from! Up to 28% off the entire site!